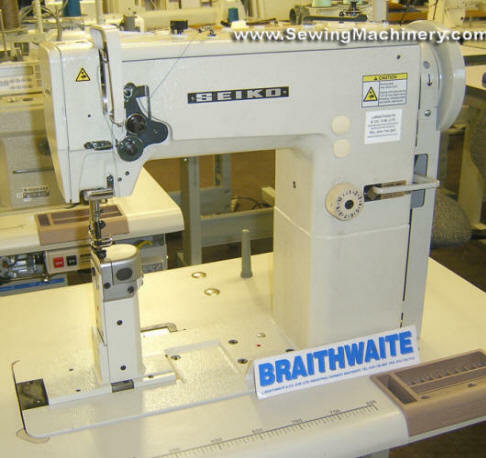 Seiko LPWN-8BL walking foot post bed industrial sewing machine with large vertical hook and base. 178mm useful post-bed height with up-to 10mm stitch length. LPWN-6BL: Drop feed with reverse. LPWN-7BL: Compound feed with reverse. 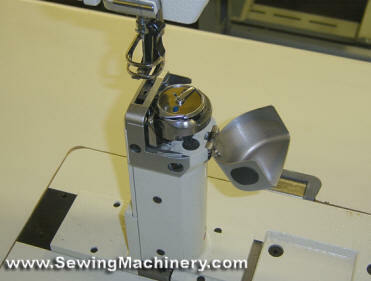 LPWN-8BC: With automatic thread trimmer.